Take some dry wall, carpet, or other absorbent surface. Add water and leave it alone for a couple of days. That's all it takes for mold spores to start to grow in your attic, basement, ceiling, or wall space - any place there's moisture that doesn't dry up. It could be a slow leak or water damage, but once mold growth takes hold of your property, you need professional mold remediation. If you suspect that mold is growing in your home or office, get it tested by a reputable mold testing firm. Then call DC Carpet Cleaning at 202-683-4270. DC Carpet Cleaning's mold remediation technicians employ advanced moisture detection technology and techniques to locate even hidden water sources. Mold spores exist naturally both outdoors and indoors, but it takes a water source for mold to grow and contaminate your living or working environment. Once the water source is addressed, we can remove the contamination with little fear that the mold will recur. Avoiding cross-contamination is a key consideration in every mold remediation job DC Carpet Cleaning addresses. We seal off the affected area to prevent mold spores from being released into other areas of the property. We also set up air scrubbers with multiple layers of HEPA filtering, to make sure the air you and your family breathe stays clean and healthy. When mold grows in drywall or in other porous materials, DC Carpet Cleaning will dispose of the materials, because there is no way to get rid of all the mold deep inside. Not to worry, though! Our technicians will then restore your structure to its original condition, with new insulation, dry wall, and a gleaming coat of fresh paint. This is just another way DC Carpet Cleaning provides you with a complete mold remediation solution. Schedule your free on-site estimate today! Call 202-683-4270. 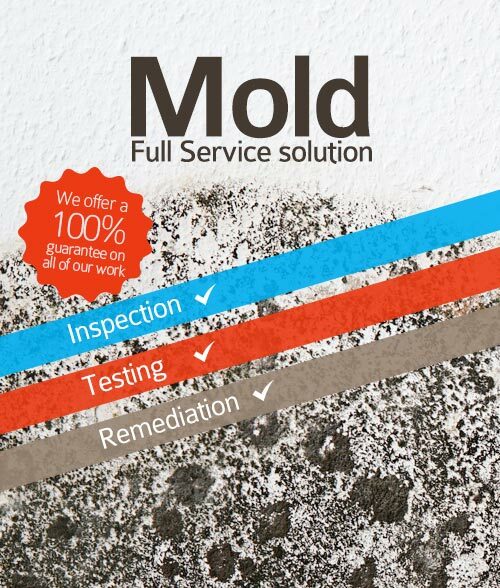 As a part of our ongoing efforts to improve our response time and customer service, we have partnered with FDP Mold Remediation of Washington, DC, a local certified, experienced and insured mold remediation company.